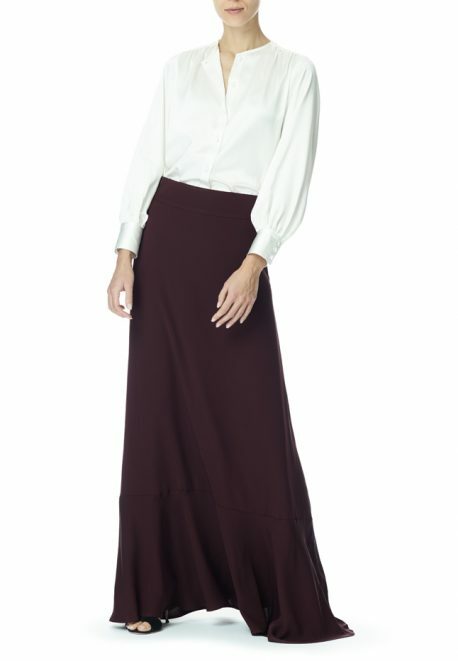 This high waist dramatic thick silk maxi skirt is designed to sway as you walk. Its features a wide gathered frill at the bottom to give movement and elegance. Pair it with a simple silk shirt, or a low cut favorite and you are bound to be a show-stopper at any black-tie event.